Today is a somber day for all of us who grew up in the 80's and 90's, especially ones that got a computer with Windows installed. Why? Because “Paint,” the historic Microsoft drawing tool one for 32 years transformed the design and editing of images into a computer, is about to disappear or at least this was announced by the US Company through a press release announcing that this application will not be on its list of programs for the new Windows updates. According to the document, the tool that came to light in 1985 is not in active development, will not be updated and will be removed in future versions. After more than three decades of existence, Microsoft has decided to kill Paint, one of the few applications that have been part of the Windows operating system, even since its first release. Paint is recognized for being a quick program of basic design and photo editing, which was included in the first edition of Windows, 1.0, which went on sale on June 20, 1985. It remained in force for almost three decades until its version 10, which is the latest operating system of that family developed by the American company founded by Bill Gates and released for sale in September 2014. For Windows users, there has always been a regular program since its inception: Microsoft Paint. That program of drawing that although we, not all use much, is an indispensable part of the legendary package of utilities for Windows and with which we can always make a brief work of art inspired by the sketches that any child of three years would achieve with a crayon. Now, it seems that Microsoft will eventually fail to include it in its updates is making windows users sad around the world. Microsoft Paint has been a staple of the Windows operating system for generations. The tool allowed users to copy and paste, crop and color images easily, or simply create drawings from scratch. According to Microsoft, Paint is still used by 100 million people a month. 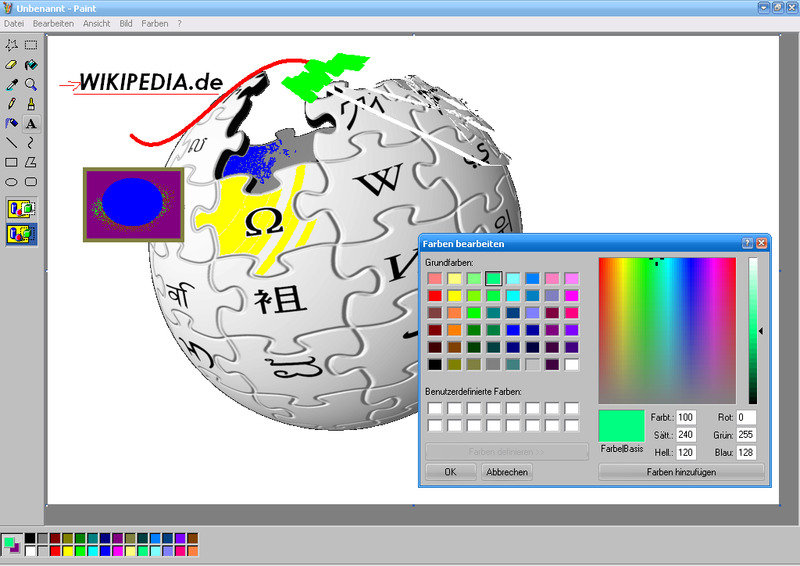 Although Paint was not used for the editing of complicated image design, its simplicity became popular among early Windows users and remains a feature of the operating system. Despite its simplicity, many windows users were able to create detailed sketches and drawings using its simple tools. The end of Paint comes as part of the Microsoft Windows 10 Fall Creators update, announced last May. Microsoft decided to set aside Paint after the release of Paint 3D in April, which contains tools for creating 3D images and, although inspired by the original, is not a direct update. While the statement does not specify the date, the program will cease to exist (apparently it will be from September) or the reasons for doing so, the organization made it clear that this will not be the only one that will disappear. Nor will they be in Windows 10 Fall Creators other tools that have marked generations such as the Outlook Express mail service, screensavers, system image backup solution, which was also rated obsolete. In short, today we say goodbye to Paint, the end of an era in the world of software and computers, and a low blow that gives us just the nostalgia. However, we know every professional designer or editor right now first started to learn to edit on Microsoft Paint. People who still love to use Paint as their ready to go editing app will most likely have a hard time switching on to new windows updates. Let’s hope the new Print 3D is as simple yet resembles the legendary app in some way or another, until then; we can enjoy creating those silly and weird arts on our favorite application. Saqib Ilyas is an inquisitive blogger and loves to spread his knowledge. Saqib has years of experience in digital marketing & sales. He is currently associated with eworldtrade, the finest online B2B Portal offering reliable business connections globally. Follow him on twitter & Instagram at @silyasofficial.